If I wanted to use this method in a widget area on the homepage of manhattan (home-note area) with 4 colums vs 3 can that be done? I would love to see this pull standard posts on Dynamik theme in the way you have above in 2 columns but pulling the first image from the post and setting it as the feature image, as well as using the youtube embeds show on the grid as well. Do you have any advice for placing a full content post before these truncated posts? 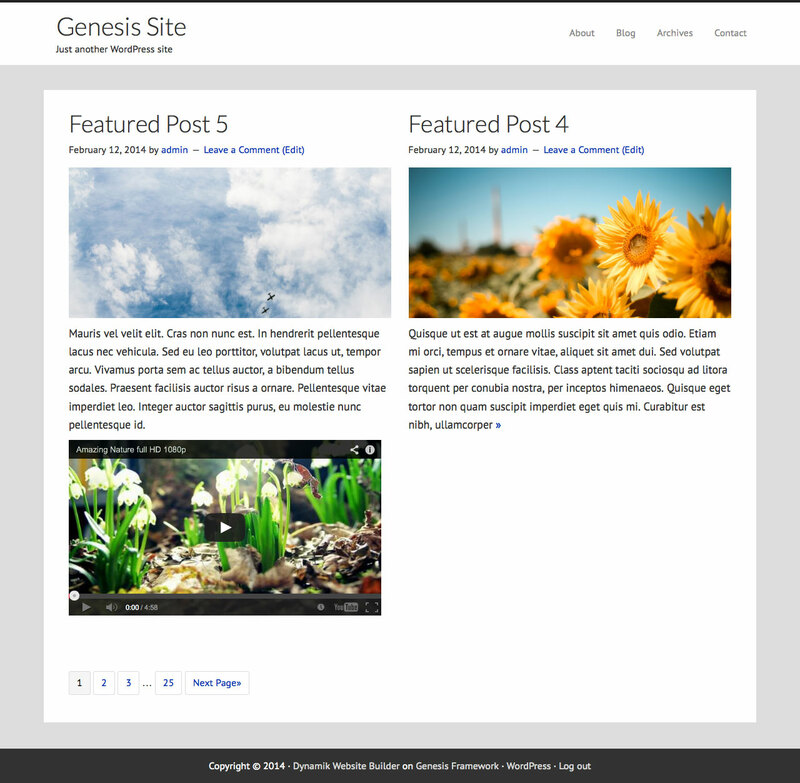 Do you want to display 1 full post followed by excerpts? If yes, do you want the excerpts to be in columns? If so, how many columns? I can see that Julie haven’t replied on your last question – but that is also my question and I would love to display 1 full post followed by the rest of the post in excerpts and in a 2 coloum grid – is that actually possible? Hi. I tried to apply the template for a custom post type and a post. I used the same code for different template. However, the other template’s pagination works when the other one’s pagination redirects to error404. Please help 🙁 is it not possible to use the code on multiple templates?